The Workers’ Party recognises the importance of trade unions in confronting, through collective organisation, the pressures facing workers. We have for many decades built strong links with the trade union movement. The ability to defend workers’ interests and to fight for higher wages and better conditions remains an ever important role for unions. The Workers’ Party believes the ability of workers to organise in the workplace must be strengthened through the introduction of union recognition legislation. 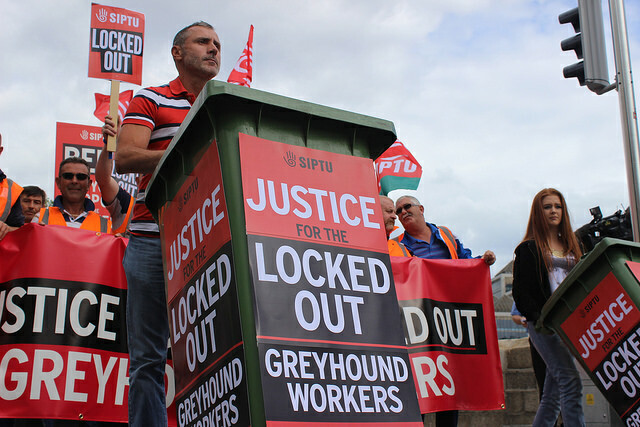 We believe that the 1990 Industrial Relations Act, introduced by then Fianna Fáil Minister for Labour, Bertie Ahern, places undue constraints on the right to strike and on union organisation. Accordingly, the Workers’ Party believes that the time has now come to amend the 1990 Act to protect and strengthen the rights of unions to defend workers’ interests without undue interference from the law and from employers. In February 2018 we published a report analysing the impact of the 1990 Act and proposing a set of amendments to the legislation. Amendment of the 1990 Act would be an interim step towards a comprehensive Trade Union Rights and Freedoms Bill which would replace the current legislation on industrial relations and secure better protection for organised labour and the defence of its political freedoms. That all adults have the right to meaningful work with decent rates of pay and decent working conditions. That all workers have the right to join and be represented by a trade union and that legislation on union recognition is immediately introduced. That the 1990 Industrial Relations Act should be amended as a first step towards a comprehensive Trade Union Rights and Freedoms Bill. That the “Living Wage”, currently estimated to be €11.70 per hour, should be implemented without delay. That the gross exploitation of jobseekers through unpaid internships and schemes like JobBridge be outlawed. That zero-hour contracts, no matter how they are labelled, are outlawed. That staff recruited via private or other labour agencies cannot be paid at rates of remuneration less than that prevailing for other workers in the sector, or under terms and conditions that are inferior to the industry norm. That all workers are entitled to proper pension entitlements. That workers are entitled to proper remuneration for the hidden costs associated with their employment, including costs like travel, home based office equipment etcetera. That workers who are receiving social welfare payments, whether due to unemployment, illness, or long-term disability be treated with respect and dignity and that the current demeaning and insulting attitude of the state and state agencies to the unemployed cease immediately. Workers’ Party welcome Supreme Court ruling on asylum seeker’s right to work.